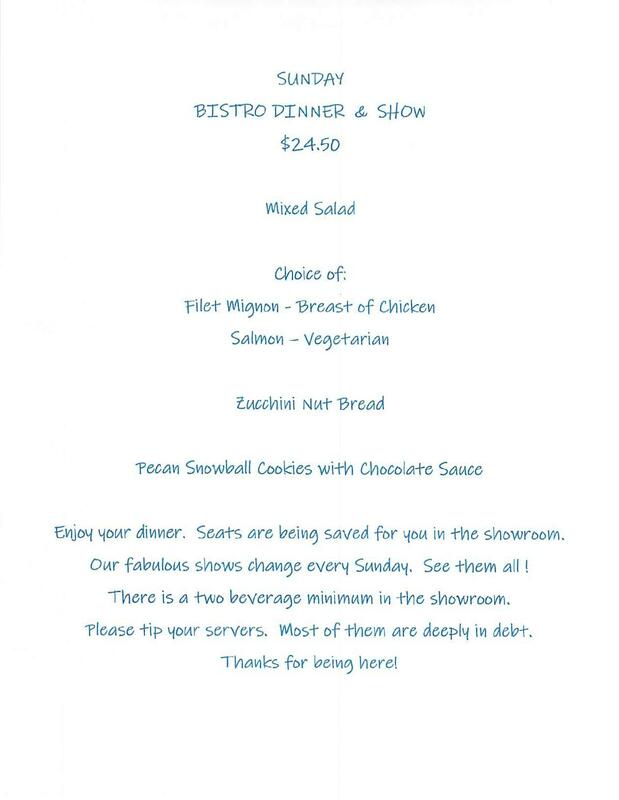 SUNDAY BISTRO DINNER AND SHOW - Regularly $40! Limited to 50 guests! Get your dinner package now! Dinner includes salad, zucchini nut bread and choice of filet mignon, chicken, fish or vegetarian entrée. Dessert is pecan snowball cookies with chocolate sauce. Dinner will be served inside or out on our patio before the show. The Ice House opens at 5pm for dinners. Special seats will be reserved in the showroom for dinner guests. There is a two drink minimum per person in the showroom. 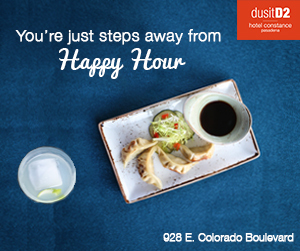 DINNER GUESTS - PLEASE ARRIVE WITHIN 15 MINUTES OF YOUR RESERVATION TIME!